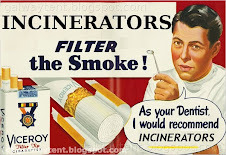 The Galway Tent Blog: DDDA Friends In Anglo Irish Manipulated Deposits? DDDA Friends In Anglo Irish Manipulated Deposits? Did the director friends of Dublin Developers Autocracy in Anglo Irish manipulate deposits? The DDDA should be shut done - the Five Thousand Million Euro which DDDA plans to spend on concrete at Poolbeg should instead be used to build a sustainable culture of 21st century innovation. Anglo Irish Bank seems to have been the bank inside The Galway Tent pyramid scheme. The Dublin Developers Autocracy (DDDA) is curiously linked to Anglo-Irish in a manner which does not inspire confidence - the inbred directors' relationships are a severe challenge to ethics. 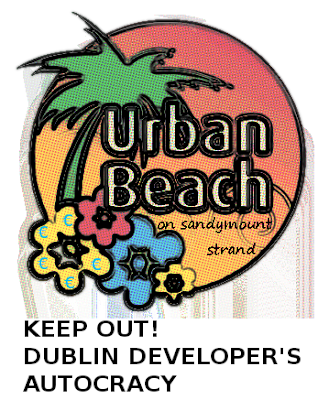 The Dublin Developers Autocracy is apparently running a sham "public consultation" before it dictates planning permissions in Poolbeg to the benefit of Anglo-related property developers. THERE will be intense scrutiny of figures for deposits at Anglo-Irish Bank when the nationalised lender publishes its annual results later this month, following reports that the Financial Regulator is examining whether previous year-end figures were artificially boosted by short-term inflows of deposits to coincide with the annual results. Full article is posted as the first comment. 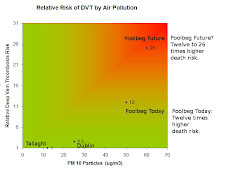 Explanation of DDDA and DCC Incinerator Promotor's Methodology in Ringsend/Poolbeg: Community Participation in Regeneration and Development, Andrew MacLaran, The Centre for Urban & Regional Studies, Head of Geography, School of Natural Sciences, TCD. A spokesman for the regulator declined to comment on the reports or the nature of the investigations, which began after it emerged that former chairman Sean FitzPatrick had hidden loans from the bank by transferring them during the periods that auditors Ernst & Young were preparing the accounts. But the regulator did confirm that the investigation was much wider than the loan transactions. "It is a wide-ranging inquiry with several strands to it," a spokesman said. "It will cover disclosures and transparency and we would raise any matters that we believe are relevant with the board of the institution." Should the Regulator discover any manipulation of deposits, it would represent a more serious matter for investors than the concealment of Mr FitzPatrick's loans. While that is information investors would expect to receive in the annual accounts, an accurate figure for deposits would be even more important in assessing the financial position of a bank. Sources in the Financial Regulator indicated that it was premature to suggest that artificial movements of deposits had been established at Anglo Irish. Investors will be looking to see if the accounts to September, due later this month, contain any re-statement of deposits. But the "several strands" which the regulator is investigating also include the purchase of around €300m in shares by 10 investors, funded by loans from the bank, at a time when businessman Sean Quinn was selling much of the 25pc stake he held in Anglo. It is not clear how much information will be available for inclusion in this month's accounts. National Irish Bank (NIB) chief executive Andrew Healy said the FitzPatrick affair had done "reputation damage" to the Irish banking industry. "I'm frustrated that the banking sector in Ireland has been tarnished by what has materialised in Anglo Irish," he told the 'Sunday Business Post'. "Clearly, we don't know all the details as yet, but the reputation damage has been done, and it will take some time to repair that damage." Last week, NIB, which is owned by the Danish Danske Bank, reported pre-tax losses of €552m for the year to December. This was caused by a €395m reduction in the estimated value of the bank as a result of the credit crisis, and a provision of €228m for doubtful loans. EBS building society is expected to become the second Irish lender to report losses when its results appear shortly. The society, one of the six institution guaranteed by the Government, may report up to €30m in losses as a result of a severe writedown of property loans. Such a figure would be well in excess of the estimate of losses by other banks, who are likely to argue that the bulk of EBS loans was made at the height of the property bubble and were therefore more exposed. However, any EBS provisions exceeding the 5pc of commercial loans in the NIB accounts would add to market doubts about the final figures for the big Irish banks.